The latest North Korean ballistic missile launch on 28 November 2017 revived the discussion on the effectiveness of the multilateral sanctions regime against the DPRK’s ballistic and nuclear programmes. Such a discussion is legitimate. The sanctions have not been directly effective so far for a number of reasons, including the marginalization of the country, a long practice of economic self-sufficiency, evasion techniques, or a sense of restraint from the Chinese political ally and trading partner. Nevertheless, multilateral sanctions against Pyongyang still need to be strengthened. They are reacting tools, and slow to produce concrete results; but all levers have not been activated yet; evasion can still be tackled; when it is time, future negotiators will need concrete and strong arguments in a very hard balance of power. Last, strengthened sanctions against Pyongyang are critical to maintain the authority of the global non-proliferation regime in the future. The latest North Korean ballistic missile launch on November 28, 2017 revived the discussion on the effectiveness of the multilateral sanctions regime against the DPRK’s ballistic and nuclear programmes. Such a discussion is legitimate. The day before, the Russian diplomacy acknowledged a sense of restraint by the North Korean regime since its ballistic test of September 15, 2017, whereas the United States claimed that their verbal threats started to pay off. The November 28 ballistic test can be considered as another slap in the face of the international community. It has also raised a critical issue: Is it worth reinforcing the multilateral sanctions policy against the nuclear and ballistic programmes of Pyongyang? Such a policy was launched by Resolution 1718 of the Security Council of the United Nations (UNSC) when adopted unanimously on October 14, 2006 under Chapter VII, Article 41, of the UN Charter as a response to the first nuclear test by North Korea (October 9, 2006). UNSCR 1718 bans a range of imports and exports. It imposes an embargo on military and technological materials as well as an asset freeze and travel ban on people involved in the country’s nuclear programme. It also creates a monitoring Committee (the “1718 Committee”). Later on, the sanctions regime has increased considerably in response to Pyongyang’s continuous nuclear and ballistic activities: UNSCR 1874 (December 6, 2009) extends the arms embargo; it also calls on States to inspect, seize and dispose of the items; it denies fuel or supplies to service the vessels carrying them; it calls on States to prevent the provision of financial services, and not to enter into new commitments for grants, financial assistance or concessional loans to the country; lastly, it asks the Secretary-General to set up a seven-member expert panel to assist the 1718 Committee in carrying out its mandate. UNSCR 2087 (January 22, 2013) specifies the regime. UNSCR 2094 (July 3, 2013) innovates by adding targeted financial sanctions. It further expands measures related to Member States’ rights to seize and destroy material suspected of being connected to the DPRK’s weapons development or research; it expands measures imposed on persons suspected of involvement with the DPRK’s nuclear programme. UNSCR 2270 (March 2, 2016), UNSCR 2321 (November 30, 2016), UNSCR 2356 (June 2, 2017), UNSCR 2371 (August 5, 2017), and UNSCR 2375 (September 11, 2017) followed. The multilateral sanctions regime has been particularly strengthened recently: UNSCR 2375 includes a full ban on selling natural gas condensates and liquids, a full ban on purchasing local textiles, a quota for selling oil. It also limits crude oil sales, visas to be provided by North-Koreans labourers overseas; it asks all countries to inspect ships going in and out of North Korea’s ports, which is an effort to institutionalize the Proliferation Security Initiative (PSI) which was launched in 2003; lastly, UNSCR 2375 bans joint ventures. Yet, despite eleven years of multilateral sanctions against the DPRK, the ballistic and nuclear programmes of the country have progressed constantly and regularly. In fact, the WMD programmes of the neo-communist regime made its most tangible progress since the takeover of the country by Kim Jong-un in winter 2011 – 2012. No one can honestly pretend that the multilateral sanctions policy has produced any significant effect on the nuclearization policy of the country so far. As a matter of fact, the direct effectiveness of multilateral sanctions against proliferating countries has been a contentious issue for a long time. 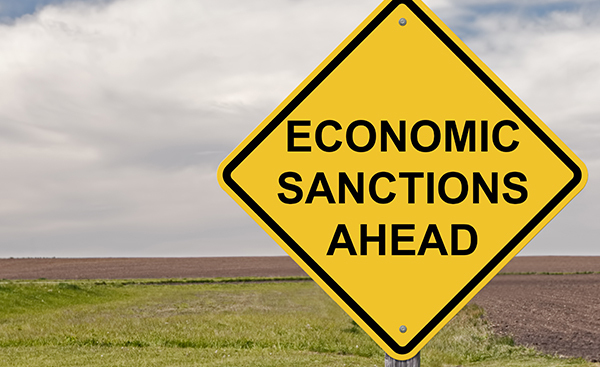 A pending question is: Are sanctions counterproductive? Does their strengthening provoke an acceleration of the programmes in the targeted countries? The South African case in the 1980’s and the Iranian case in the 2000’s continue to be discussed in that respect, the former being more or less introduced as an illustration of counter-productivity, the latter illustrating the idea of effectiveness, with much nuances to be made in both cases. To sum up, it is not possible to conclude consistently in the sense of efficiency or inefficiency in operational terms strictly. Various reasons explain the inefficiency of the tool in the North Korean case since 2006: the marginalization of the country with regards to global flows of goods and services, the habit of a relative economic autarky, the restraint of China as trading partner from 2006 to 2016, the reorganization of the North Korean development strategy (the “Byungjin” policy) towards economy and the nuclear weapons programme since 2013, or systematic efforts to get round the sanctions in collusion with many corrupted regimes around the world, in Africa in particular. In any case, the progress made recently by the North Korean nuclear and ballistic programmes have given strategic considerations to the North Korea crisis, which dates back to June 1994 when Pyongyang decided to stop cooperation with the inspectors from the IAEA. It can indeed be argued that the more powerful nuclear test ever conducted by the regime on September 3, 2017 indicates a capacity to produce several nuclear warheads with a yield estimated at more than 100 kt. This developing arsenal is coupled with a proven expertise in short and medium-range ballistic missiles technology and a supposed capacity to mate the warheads with their delivery systems. South Korea and Japan could therefore be vulnerable to a nuclear strike by Pyongyang which would be much more powerful that those which destroyed the cities of Hiroshima and Nagasaki in their time. If one considers seriously such a hypothesis, the DPRK nuclear and ballistic crisis is no longer a proliferation challenge for the international community. On the contrary, it can be argued that it has become a full security issue for countries of the region that are increasingly concerned with the adaptation of their security and military tools against a perceived threat. Besides, it has become a strategic issue involving directly the interest of three big or emerging powers in the region: The United States, China and to a lesser extent Russia. In any case, whether the strengthening of the multilateral sanctions regime is still a relevant strategy is a question to be asked. And the short answer is yes. Despite all the valuable reasons to doubt the effectiveness of the sanctions policy against Pyongyang to date, strengthening this policy at the multilateral level is a necessity which should not allow any political hesitation. Why is that so? Firstly, sanctions have always been reactive by nature. The instrument aims at adding coercion to a more aggressive behaviour. The multilateral regime had to be modest at its inception before growing as the WMD’s programmes of Pyongyang progressed. In fact, the UN mechanism received its genuine economic relevance in 2016, with UNSC resolutions 2270, 2321, 2356, 2371, and 2375. The primary effects of the strengthened regime shall be felt on the North Korean economy in 2018. Secondly, it seems that the only thing that can be agreed upon by the international community against Pyongyang since the collapse of the Six -Party Talks in 2009 is coercive measures. It has been a modest and a valuable achievement at the same time but almost all States in the world actually oppose the recognition of the DPRK as a nuclear weapon State. Likewise, economic sanctions constitute a useful measuring instrument. Successive decisions to reinforce the multilateral regime provide markers for the common approach, which gives to the main stakeholders of the crisis a way to assess their proper position in a very moving balance of forces. Then all the levers have not been actuated yet, and the fight against evasion can be improved, from China or from many African countries in particular. The European Union has a special role to play on this front. The North Korean nuclear and ballistic programmes are not mature enough for the country to be considered a full nuclear power, which means a nuclear state equipped with a reliable second-strike capability. Some room for manoeuvre remains to slow down the pace of progress while solutions are found to reverse or at least to freeze the ongoing dynamics on the ground. It must be added that strengthened sanctions will constitute a diplomatic tool when negotiations with the North Korean regime resume. A new round of multilateral negotiations with Pyongyang seems unlikely in the near future but whatever the format, the agenda, or even the temporality, then-negotiators will need a robust toolkit to support their bargaining positions when it becomes necessary. Lastly, one of the primary functions of multilateral sanctions against the WMD’s programmes of Pyongyang has been to maintain the authority of the global non-proliferation regime in the future. As such, the continuous reinforcement of the sanctions provides an indication of the diplomatic, political, economic and social cost of violating the global non-proliferation norm. Such a cost must generally be perceived as prohibitive to be dissuasive enough. The North Korean case represents in many respects a political and strategic singularity. It must stay what it is: a counterexample to the general rule. For all these reasons, to reinforce the multilateral sanctions regime against the nuclear and ballistic programmes of Pyongyang is still necessary. It must be encouraged as an unwritten rule for the multilateral political action. Being the most observed and strongest evidence of the international community’s determination to compel the North Korean dictatorship to act with at least some sense of restraint, such a rule cannot be called into question, including by a collective sense of defeatism which can legitimately be fuelled by the recent successes of the DPRK.